Door County is famous for it's lighthouses. There are several up and down the peninsula. 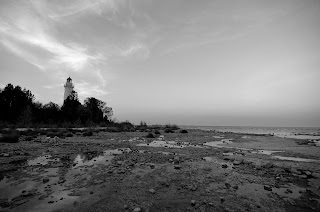 This lighthouse was close to where we were staying in Baily's Harbor. We had one evening when the clouds lifted. Fog had ruled our trip. Patience was rewarded.